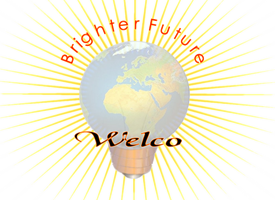 At WELCO we strive to achieve a high level of service in Birmingham, the West Midlands and the surrounding areas, we also operate throughout Slough and surrounding areas. Welco specialise in Boiler repairs and are experts when it comes to repairing brands such as BoilerMate, SysteMate, PulsaCoil, Gulfstream, ElectraMate, Megaflo, Oso, Range, Telford. Faults can be reduced by maintaining water quality. BoilerMate faults are usually due to scale build up in the valves. BoilerMate faults affecting the temperature of the hot water are found in the Heat exchanger or mixing valves on some models. BoilerMate faults can be found rarely on central heating outlets. BoilerMate faults can cause the unit to be noisy, which tend to be found on the control circuitry. BoilerMate faults develop around the pumps seen by leaking, and pumps stalling and ceasing up if left unchecked. When BoilerMate unit performance diminishes seek help before it spreads to printed circuit boards that control the unit. ElectraMate faults are usually due to scale build up and affect the switch element causing it to fail. ElectraMate faults can be found in the valves which tend to restrict flow through them. ElectraMate faults like this lower the pressure in the unit resulting in air pockets. ElectraMate faults can be found around pumps, seen by leaks and stalled or ceased pumps. Those ElectraMate faults can be found in the switch element which tends to burn out on one side, rendering it useless. Gulfstream faults are notorious after the water quality diminishes, due in part to the small bore size of the main heat exchanger channels. Gulfstream faults tend to be seen when it overheats and goes to lock-out. Gulfstream faults if responded to early and given urgent attention is paramount for this unit.These Gulfstream faults in particular, can result in a blocked heat exchanger leading to expensive repair bills. Keep an eye on the pressure level, usually just above 1Bar and watch for large fluctuations above this level. We have brought such units back from the dead by cleaning the unit before the heat exchanger blockage gets too bad. Gulfstream faults can be found on the domestic hot water heat exchanger but is not detrimental to the whole unit. The pumps can be problematic too, leaking, stalling or ceasing. Gulfstream repairs can be reduced greatly by responding to any changes in temperature performance without delay. PulsaCoil faults are usually down to letting the F and E tank run dry. Keep the water at a sufficient level. PulsaCoil faults are due mostly to the water quality deteriorating after a certain point. PulsaCoil faults can be reduced by maintaining the quality of water once this occurs. PulsaCoil faults can be found in the pumps and heat exchanger. Once the temperature starts to fluctuate the unit is calling for help. Do not delay responding to this call for it is downhill from here. SysteMate faults are similar to the BoilerMate and ElectraMate faults. SysteMate faults are found in the valves and pumps. Pumps start to stall and cease working with leaks occurring in this area in particular. SysteMate faults occur also in the switch element which tends to burn out on one side. SysteMate 3 models have a mixing valve that tends to scale up over time. SysteMate faults can be reduced by responding quickly to any deterioration in performance. Get in touch today for more information or to book in an appointment. Call 0800 050 9489 or fill out a contact form.